Judith Harris is a real heroine of mine. Battling a chronic illness and being outside of any formal University, she did some devastatingly effective research resulting in the magnificent book The Nurture Assumption. 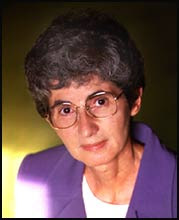 She all but snuffed out conventional wisdom about childrearing, with her crushing, and brilliantly researched, critique of prevailing theories, and was awarded the prestigious George A Miller Award in 1998 (ironically he was also the person who turned her down for research at Harvard) Harris has truly changed the face of developmental psychology. It’s neatly summed up in her subtitle ‘Why Children Turn Out the Way They Do; Parents Matter Less Than You Think and Peers Matter More.’ Finally destroying the last vestiges of Freud’s theories about infant development and many other developmentalist myths, most notably the influence of parents on the personality of their children, she thinks that most research fails to identify controls for heredity. Children behave like their parents because they are genetically related and not because parents treated them in any special way or because of some childhood trauma. In fact growing up in any particular household doesn’t seem to have any significant affect on one’s intellect or personality. Her new book is another scorcher. In ‘No Two Alike’ she tackles another big issue – individuality, asking why people are so ‘different’. Her attacks on the significance of birth order (it makes no difference to personality) along with many other plausible hypotheses are devastating. But it’s her ideas around a ‘status’ system that is fascinating. This seems like a good candidate for explaining why even identical twins are different. Donald, I loved her analogy in the first book -- that if you shuffled the kids in a playground and sent them back to different homes, you couldn't tell the difference when they were grown. The educational variant is that if you took the Stanford freshman class and shipped them to a giant Holiday Inn in the middle of Oklahoma, they'd learn about as much as if they'd stayed on the campus in Palo Alto.